Are you looking for dog names? Did you just get a new dog or are about to welcome a puppy in your home? Then you are probably looking for a dog name. There are so many things to think about when you are looking for doggy names. Which name should you choose? Does the dog have to like his name? Do dogs actually understand their name? How do dog names work? Why is it actually necessary to name a dog? How do you find a pet dog name? Maybe you already settled on a name but want to check if it is a good one. You could also still be at the beginning of your quest for the right name for your dog. There are so many things you can do wrong when choosing a dog name. It could be too long, have the wrong sounds in it or you might even choose a name that your dog does not react to. Finding a good name does not need to be difficult, though. Just follow the tips and tricks you can learn at 123Tinki.com and you will find the right new dog name in no time. Whatever it is what you are looking for, 123Tinki.com can help you with all those questions. Take your time and think about the name you are going to pick for your dog. After all, you will have to use it for the next 12 to 15 years. The relationship between humans and dogs is as old as history itself. The dog was the first animal to receive a name and until today, there is no animal that is as close to man as the dog. So the concept of giving dog’s a name has been around for ages. Throughout history, there have been lots of dogs with many different names. Even in ancient Egypt, the Pharaoh’s favorite dog was given a name and buried together with him, along the lines ‘friends for life, and even beyond that’. While dogs were often used as working animals in the past, nowadays they are often considered members of the family. So people put more thought into their names. They want their dog’s name to reflect norms and values they hold. So the choice for a dog name has become much more difficult. But it also offers the chance for a more personal name and a name that really suits your dog. Because that is important, as well, that the canine name really fits the dog’s appearance, as well as his character. It has not always been customary to name a dog, so you might be wondering why people started naming their dogs in the first place. Dogs perceive their own names as a command, they do not have a concept of names, like we humans do. So in order to get a dog’s attention you will have to teach him to react to his name. And this has been important for as long as dogs have been around. Dog names used to be less human, there were some specific names that were commonly used for dogs. In medieval times popular names were Nosewise, Amiable, Clenche or Holdfast. You probably do not know any dogs with those names yourself. Dog names have changed over the years. Nowadays you do not only give a dog a name to use as a command. But a pet’s name for dogs is often very personal. People choose names because they want to show their affection for their dog. They choose a name they think the dog would like and that fits the dog. That emotional bond is also the reason why nowadays, there are lots of dog names to choose from. While in the past, there were only a few names that dog owners could choose from, nowadays there is an abundance of doggy names. If you ask your grandparents what their neighborhood dogs were called, there were probably a few dogs called Rover or Buddy. Back then there were simply less aids for dog owners to find a name, so people usually adhered to these social conventions and just picked one of the common dog names. With the internet and people’s increasing need of self-actualization, pet dog names have changed as well. In a time were children are called North or Apple, there is basically no limit to names for your dog. How can you find the right dog name? Finding the right new dog name can be a challenge, but the quest for a name for your new furry friend can also be lots of fun. You want a name that reflects your own values and you want it to have a nice sound. After all, you will have to call it quite a lot in the next few years. There are some things you should avoid in dog names if you want your dog to listen. With all of these requirements and restrictions it might be a bit overwhelming to look for a canine name. But 123Tinki.com offers some guidelines and tips to help you find the right name for your dog. How many syllables should a dog name have? The length of a dog name is an important factor and you should always keep that in mind. The dog name should not be too short or too long. On syllable doggy names can be nice, but in your everyday life you will probably start to stretch them quite often. If you call your dog ‘Bo’ for the tenth time in the dog park, it will become an annoyed ‘Booo-hoo’. So one syllable dog names might not be the best choice. Dog names that are too long are also not advisable. The dog perceives his name as a command. The longer the command, the more difficult it is for the dog to recognize it between all the other words you say every day. Furthermore, pet dog names are just not nice to call out. If you choose a nice long dog name, like ‘Penelope’ you will probably be quick to shorten it to ‘’Penny’, for example. Be aware of this, so when you choose a long dog name, the dog will probably learn the abbreviated version of the name. The perfect length for a dog name is two syllables. What should dog names end in? There are also theories about what dog names should end in. The right ending can make a new dog name easier to understand for the puppy. Dog names that end in -i, -ie or -y are best because dogs can distinguish these sounds easier. The same is true for the e-sound, for example when the dog name ends in -ee. Furthermore, these kind of sounds make a dog name more cute and adorable, and that is what a lot of dog owners want. If you do not like canine names that end in those sounds, you can also choose other names that end in a long vowel or a short a, like ‘Coco’ or ‘Simba’. These kind of sounds are easy for the dog to recognize and it will help him to quickly learn his name. No matter what the dog name ends in, always make sure that you really like the name. After all, you will have to use it for the rest of the dog’s life. What is important for the sound of a dog name? Dogs can hear the s-sound more intensely than humans, so names with an s in them can be recognized better. Hard sounds are more energetic and will be more likely to get the dog’s attention than soft consonants. Always choose a clear pet’s name for your dog that is easy to understand. Use strong sounds to make it easier for the dog to recognize. Another important thing with regard to the sounds of dog names is that it should not rhyme with other names in your household or with words you use a lot. Also make sure that the dog name does not sound like another command. The name ‘Kit’, for example, is not suitable as a doggy name because it rhymes with ‘sit’. Make sure that your dog’s name cannot be confused with something else. Besides the many things you need to take into account when you are looking for a dog name, there are also things to avoid when picking a name for a dog. First of all, avoid popular pet dog names. If you name your dog ‘Bailey’, ‘Bella’ or ‘Max’ there is a good chance that you will regularly come across other dogs with the same name. Of course, you might not mind, but you should be aware of that. Consciously make the choice if you would be okay with quite a lot of other dogs having the same name as your own dog. Also avoid choosing a name that will eventually be changed to an abbreviation or a version that is easier to call. Really long or difficult names often get annoying really quickly and will be shortened or changed to a version that is easy to call. So make sure to choose a dog name that is not only nice but also easy to use in your everyday life, even if you have to call the name ten times before the dog listens. A dog name also needs to be suitable to call in different tones of voice. You need to be able to call it when you are strict and forbidding something, but also when the dog has been good and you want to reward the dog with a praise like ‘good job’. So avoid a name that requires the same certain tone of voice every time. Some people think that it would be a nice tribute to name their dog after people they know and that had an impact on their life. If you choose to do this, ask that person first. Not everyone will like to have the same name as a dog. And even if it is meant as a compliment, you should ask first. Make sure that the gesture is understood as you mean it, because some people could consider it an insult. There are also people that like a scary or intimidating dog name. With every name you consider for your dog, be aware of the fact that you will have to call it quite a lot, and often in public places. You should not pick a name that could scare or intimidate other people in public. After learning all the dos and don’ts of new dog names, you are ready to start your quest. But how should you go about this? The best way to start looking for a dog name is the dog name generator of 123Tinki.com. Just put your preferences into the interface of the dog name generator and with one click you can receive a whole list of canine names that all fit your preferences. Then you can just take your time and look at all the names on the list to consider for your dog. Request as many lists with dog names as you would like, there is no limit. Let your imagination run wild and you will get access to so many different types of dog names. Also try to say the names out loud, this will not only help you to get a better feeling for the different names, but you will quickly find out if you like saying and calling the name. That is important as well. If you know what type of pet’s name for your dog you would like, you can look for very specific lists. But even if you have no idea where to start, the dog name generator can be a useful tool. Try to start with less specific types of dog names. Look up male dog names or female dog names for example. There are also names for big dogs and names for small dogs. These lists will include many different types of dog names. Just go through the list and you can find out what you like in a doggy name and what type of dog name would fit you and your dog best. These more generic lists are good because they do not only include lots of different dog names, but are also quite long, so you will have an abundance of pet dog names available. Maybe you will find the perfect name for your dog in that list. And if not, you will probably have a better idea about the type of dog name you are looking for. The best way to go about choosing a dog name is to start with reading as many dog name as possible. Go through the list and write down every new dog name that you initially like. The second step is to take that smaller list and try to pronounce the different names. Say them out loud and maybe also try to call them. This will help you to find out if that name is a good option for your dog, are you comfortable to call it out in public? Is it a name you will not quickly grow tired of? If so, the name might just be the one for your dog. And if you end up not finding the right name for your dog on that list, you can just use the dog name generator and request more lists of dog names. If you do not like working with the dog name generator or would like suggestions of other people, you can just work with lists of dog name ideas. These names are also available on 123Tinki.com. You will get to see lots of different canine names that all fit the topic of the list. Lists with dog name ideas could include popular dog names or powerful dog names. But there are also American dog names or German dog names. There are lists with lots of different dog names, just get creative. You can go about this with the same approach as with the dog name generator. Read through lots of different lists with ideas for dog names and write down every name that you initially like in your own list of favorites. After you gathered a good number of pet’s names for dogs you like, it is time for step 2. Start saying the names out loud and imagine yourself in the dog park calling out for your dog. Think about if the name would be suitable and practical in your everyday life. If you cannot make a decision for one dog name, try to cross off one dog name after the other. 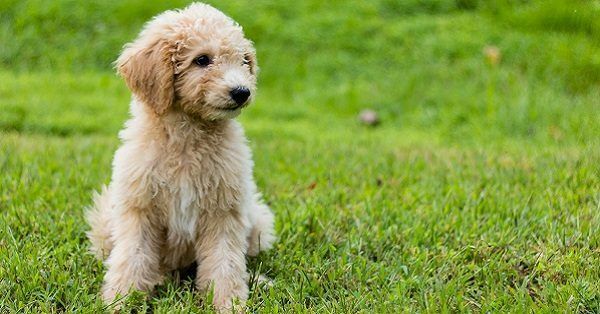 Once you are left with just 2 or 3 final names, you can put off the decision for the final dog name for the day you go to pick up the puppy or dog. Once you meet the new dog, you will immediately know which of the two or three final names is the best choice for your new furry friend. What are dog names for females? Just like humans, female dogs usually have other names than male dogs. Female dog names are often a bit softer and feminine. They oftentimes end in an -a or an -e and if they end in an e-sound, they are often especially cute. However, female doggy names can also be quite cool and strong. Some people prefer this because they want the dog’s name to broadcast a certain charisma. While some dogs are supposed to come over as cute and adorable, other dogs are supposed to be strong and full of power. The dog name plays an important role in the way a dog is perceived, so there are many things to consider when you are looking for a female dog name. What are dog names for males? What are cool dog names? On your quest for a new dog name you might get the idea to look up cool dog names. But what are cool dog names? This is different for everyone. A name that one person thinks is cool does not have to be cool for another person. So it is up to you to find a cool dog name. The best way to start looking for a cool dog name is the dog name generator of 123Tinki.com. Just put ‘cool’ into the interface of the dog name generator and you will receive a list of names that other people find cool. Maybe you have the same taste and find a canine name that you think is cool as well. If not, you might find out what style of dog name you like and can specifically look for that. Ultimately, it is about what you think is cool and not what other people say is cool. You are the one that has to use the name daily for the next 12 to 15 years. What are celebrity dog names? When you are looking on the internet for inspiration to name your dog, you will probably also come across celebrity dog names. There are several types of celebrity dog names. First, there are dogs of celebrities. You could do research about the names of dogs of celebrities and maybe there is a name there that you like. Did you know that Selena Gomez has a puppy called ‘Baylor’? Or that Ryan Reynolds has a dog called ‘Baxter’? Another type of celebrity dog name is the names of famous dogs. Examples for these kind of celebrity dog names are ‘Lassie’ or ‘Rex’. A third possibility for celebrity dog names is to use the names of celebrities as a pet’s name for your dog. How about ‘Leo’ after Leonardo DiCaprio or ‘Cara’ after Cara Delevingne? You might like these types of dog names. With this approach you will probably come across lots of different dog names, so it could be a great starting point to get some inspiration. With patience and perseverance you will sooner or later find the right name for your dog. What are Disney dog names? A huge favorite among dog owners are Disney dog names. There are countless Disney movies and even more names that you could use as a doggy name. From ‘Cinderella’ to ‘Beauty and the Beast’ but also ‘Finding Nemo’ and ‘Lion King’. The great thing about Disney dog names is that there are so many different types of Disney dog names. The movies play in different times and different universes and all of them have their own name theme. With Disney dog names you can name your dog ‘Anna’ or ‘Nala’, but also ‘Bolt’ or ‘Pongo’. Just read through some different Disney dog names, and who knows, there might be the perfect name for you dog among them. What are French dog names? Another popular type of dog names is French dog names. For French breeds like the French bulldog or a poodle it is an obvious choice. But it can also be a great choice for all other types of dogs. French pet dog names have a very distinct sound and especially in an English speaking environment, it might even be easier for a dog to recognize a French name. So who knows, if you pick a French dog name, it could even be helpful during training. One important thing about French dog names is to make sure that you can properly pronounce the name. The French language has some sounds that do not come easy to a foreign tongue and it might be embarrassing if you find yourself in the dog park unable to properly call your dog. Before settling on your favorite French dog name, practice it, say it out loud and make sure you feel comfortable in doing so. What are funny dog names? If you want people to laugh when you call your dog, you should choose a funny dog name. That sounds easy, but what is a funny dog name? That really depends on yourself. Different people think different things are funny, so you should choose a dog name that you think is funny. A sarcastic new dog name could be funny, like calling a giant dog ‘Tiny’ or a very small dog ‘Rambo’. Other funny dog names include ‘Porkchop’ or ‘Mouse’. Just take your time and think about what you find funny, then you will eventually find the right name for your dog. What are unique dog names? Unique dog names are rather difficult to come by, because, by definition, they only exist once. So you would basically have to invent your own new dog name. That is difficult, but not impossible. Maybe you already have an idea. Some people also use the first letter of the names of every person in their household and try to turn them into a canine name. This makes the dog name very personal and probably unique. If you cannot manage to think of a unique dog name, you might also look for unpopular or rare dog names. This way, you can do your research online or in books, but it is still highly unlikely that you will meet another dog with the same name. What are strong dog names? You might like a strong dog name for your dog. These types of names emit an aura of authority and power. They are perfect for serious dogs and big dogs. If you think that a strong pet’s name for your dog might be a good fit, it might be worth to use the dog name generator to look for a whole list of strong dog names. Strong dog names are often short and have a distinct sound. They are easy to pronounce and when you call it, the dog knows that you are serious. Strong dog names can make a serious impression when you are at the dog park, so if that is what you want, look for a strong dog name. The name needs a positive association. Use treats or toys to let the dog have an awesome time every time you call his name. Get your puppy’s attention. When you call the puppy’s name, reward him in case he looks at you. This way he will learn to pay attention to you when you call his name. Gradually teach the puppy to really make contact when you call his name. Hold the treat in front of your face and later your eyes. This will force the puppy to really make contact. Slowly make it more difficult. Increase the distance, practice in an environment with distractions, use moments when the puppy looks away and reduce the treats. 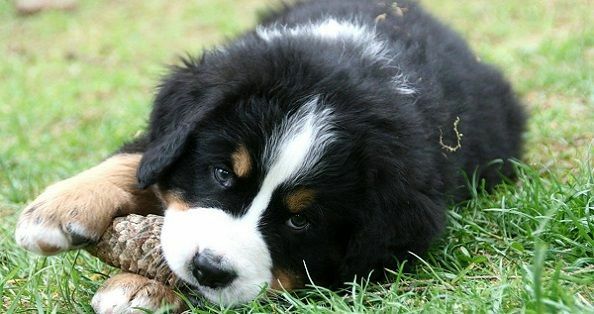 Ultimately, you do not want to have to reward the puppy every time you call his name. Can dog names be changed? Only choose a dog name if you are sure that you will still like it in a couple of years. Dog names are difficult to change and it is usually better for the dog if he does not have to learn a new name. In some cases, though, it can be helpful or even necessary to change a dog name. For example, when you adopt a dog with a history of abuse. If this is the case, the old name can remind the dog of past abuse and neglect. Then you should definitely teach the dog a new name. How do you change a dog name, you might be wondering. Well, there are some easy steps to teach your dog his new name in no time. First, start to immediately say the new name every time you say the old name. If he reacts, immediately reward the dog. Use a treat, a toy or your voice: ‘good job!’. Repeat this until the dog pays attention to you every time that you say the combination of the names. Once you mastered that step, try to only use the new name and reward the dog if he reacts to it. This way will help you to teach your dog his new name in no time. Find the best dog name right away!